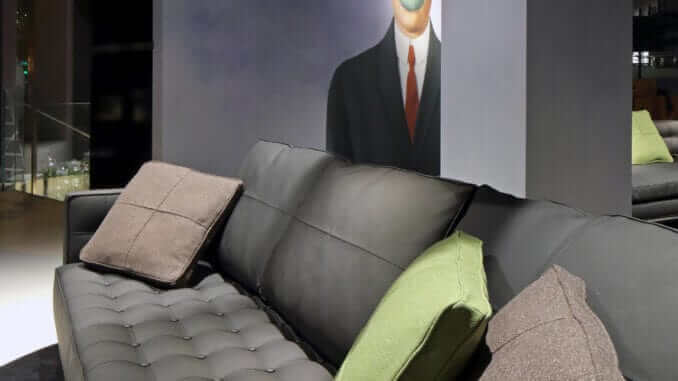 Innovative French designer Philippe Starck has created a collection of furniture for Cassina that have been upholstered in a vegan fabric. The material used is Apple Ten Lork, a vegan alternative to leather which made from apple cores and skins, an industrial waste product. It is completely biodegradable and sustainable substitute for leather. The apple skin material is manufactured by Italian company Frumat which has also created fabrics for notebooks, handbags, shoes, and designer clothes. Starck is hoping to inspire consumers to think about the materials used for the products they purchase. The installation is on show at Cassina Paris Rive Gauche from 17th to 30th January.